To celebrate the holidays this year... we are giving away 5 gift cards to the first 5 people that find this festive image of our CTO hidden somewhere in our website. 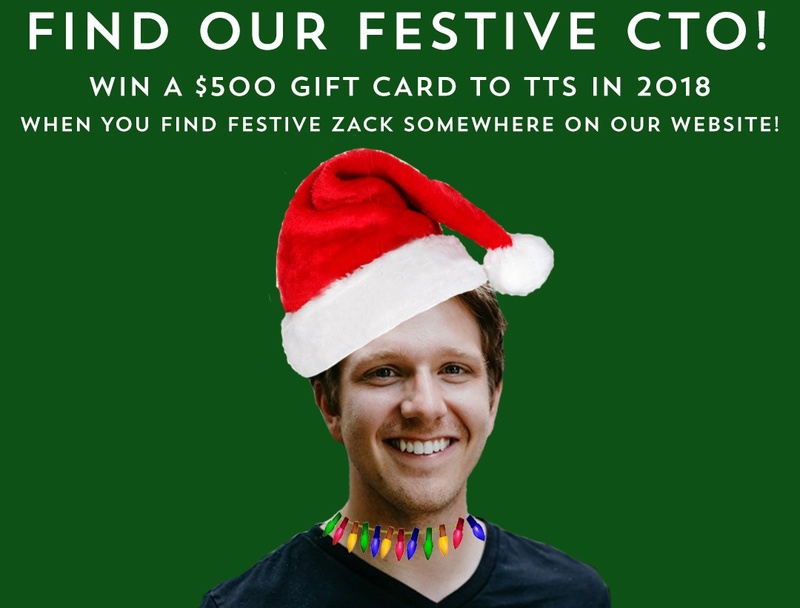 Festive Zack is hidden somewhere in our website, just waiting to be found in true "Where's Waldo" fashion! 1. The $500 gift cards can be used for 1-on-1 tutoring OR for any in-person class! 2. Only one (1) gift card can be used per person. 3. Gift cards can only be used for classes that you haven't taken yet and are not currently enrolled in. Current students can not use them for payments. 4. Yes, you may give this gift card away as a gift for a friend! Go to www.techtalentsouth.com and begin the manhunt! Search our website until you find our CTO, Zack in his red hat with his Christmas light necklace. Email Meagan: mmichal@techtalentsouth.com with the url and a screenshot of the page on which you found him! She will get back to you to let you know if you were one of the first 5 and won the gift card! HAPPY HOLIDAYS FROM TECH TALENT SOUTH!